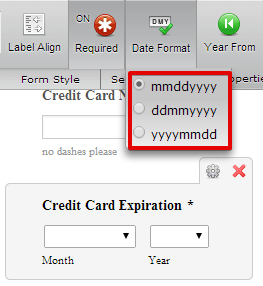 I'm using birthdate picker for a credit card expiration date. I have hidden the day field. However, the when I try to fill it out is says field required. Firstly, let me inform you that accepting sensitive information including credit cards are not allowed through JotForm and such forms are considered as phishing that leads to suspension of account. Our anti-phishing system is strict to scan each form. I request you to go through our Terms of Usage for more information on phishing. Hence, you are requested to remove these fields immediately and consider using our Payment Tools such as PayPal, Stripe, etc. 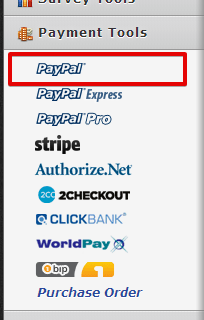 that accepts payments through secure link. These Payment tools are powered with selling single/multiple products, subscriptions, accept donations along with giving you the ability to add taxes, shipping charges, coupons. Please see the guide on Setting-Up-Your-First-Order-Form that has a demo video on creating order forms. To answer your question, I see that the date column of birth date field is hidden using CSS. Since the complete format of field is set with date column programmatically, this suppression cannot work.